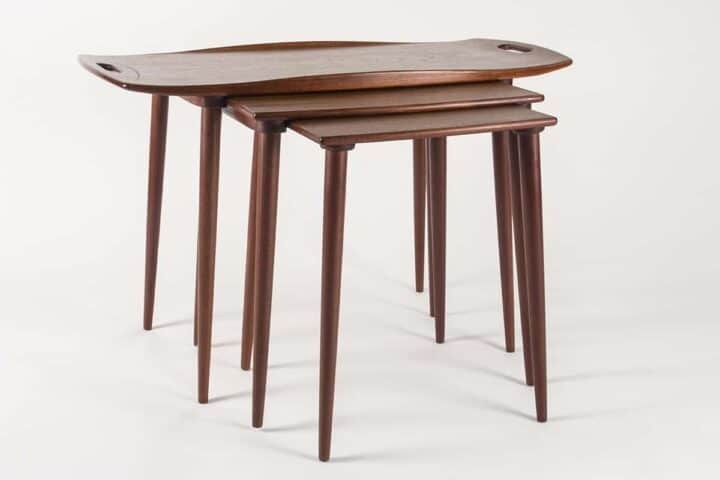 Set of three teak nesting tables designed by Jens Quistgaard for Nissen. Sculptural tray top with handles. 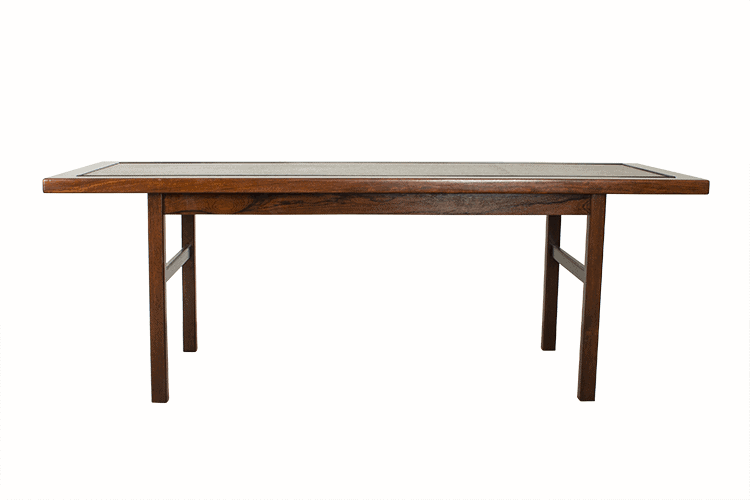 This is for the connoisseur collector of mid century modern Scandinavian design.